German wholesaler Metro Cash & Carry on Thursday inaugurated its third store in Ho Chi Minh City and seventh in Viet Nam, home to about 84 million people. After the official opening ceremony in the morning, Metro Hiep Phu in District 12 opened its doors to the public at 3 pm. Situated on one of the city’s ring roads, Metro Hiep Phu is about 30 minutes drive from the center of town. It covers 55,000 square meters and includes 6,000 square meters of store space and a car park that can fit 800 motor vehicles. Like Metro An Phu in District 2 and Metro Binh Phu in District 6, the new store is open from 6 am to 9 pm every day of the week. Metro Cash & Carry Vietnam says it has invested more than US$15 million in the Hiep Phu store, which stocks some 15,000 perishable and non-perishable items and can handle up to 5,000 customers a day. Its core buyers and target customers are merchants, hotels, bars, nightclubs, canteens, caterers, restaurants and stationery suppliers, which explains the extensive product range. “Ho Chi Minh City is quickly developing, not only in terms of the inhabitant number but also in the number of businesses. These customers are our targeted customer groups, who can surely benefit from our tailor-made business solutions,” Uwe Hoelzer, managing director of Metro Cash & Carry Vietnam, said at the grand opening. The new store, which employs over 300 locals, lies between the center of Ho Chi Minh City and the fast developing provinces of Binh Duong and Tay Ninh. 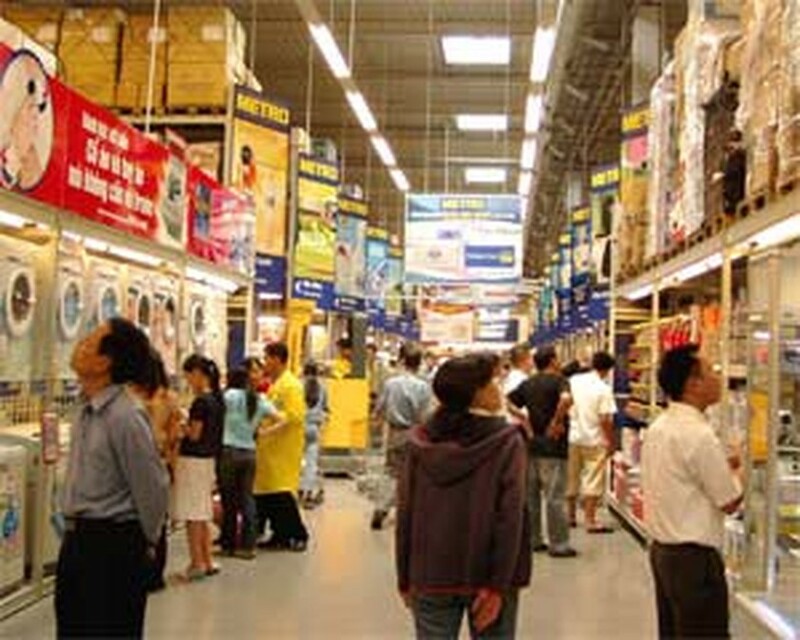 Metro Cash & Carry set up shop in Viet Nam in 2002 and now operates seven stores in HCMC, Ha Noi, Hai Phong, Da Nang and Can Tho. Also on Thursday, leading retailer Saigon Co-op opened another supermarket in Ho Chi Minh City, its 17th nationwide. The new four-story Co-opMart in District 10 is the company’s biggest yet and has almost 12,000 square meters of floor space.